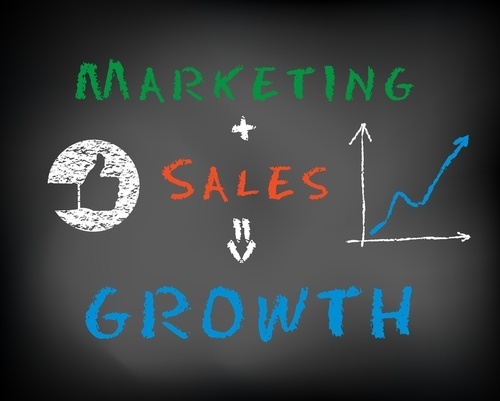 Moving from traditional sales to inbound sales is a big shift for any organization. If you're a marketing leader, it's important to get out in front of this shift and set proper expectations for everyone involved. The best way to do this is to set up a straight forward service level agreement between your sales and marketing teams. Here's how to do that. Understand how your sales team currently generates leads. Does a big chunk of leads and sales come from a once a year conference? Does each salesperson have their own territory that they are responsible for selling into? Are leads distributed round robin to the sales team? Ultimately, you'll want to establish how many leads are currently received on a monthly basis and from what method. As you move to online lead capture and nurturing, you'll want to establish what percent of total monthly leads your sales team can expect from online efforts. If your company typically gets 100 leads a month now and you are just starting to capture leads online, consider targeting 10% of that lead total to come from online sources. Yes 10 leads (on top of the regular 100) seems like a small number, but it's a start. If you receive any leads from your current website, factor those in too. You may have visitors landing on your website specifically to find a phone number for a sales rep, which, by the way, is a good reason to have a website only phone number. That way you can track website leads that decided to call in rather than fill out a form. To be clear, I'm focusing this discussion specifically on online leads. You may already have a qualification process for more traditional leads. A marketing qualified lead (MQL) is a lead that has taken a specific set of actions on your website that indicate purchase intent. An MQL may have downloaded 2 pieces of advanced content, visited your site within the past month and subscribed to your blog. You can choose to send MQLs over to sales or you could nurture them furture with emails. That's a discussion you can have with your sales counterparts. A bottom of the funnel (BOFU) lead is a lead that is seeking a consultation or conversation with someone in your organization. For LyntonWeb, we define a BOFU lead as someone who completes and submits information on our Speak to an Expert page. If a lead converts on that page, we have a series of internal events that are triggered to assure we reach out and schedule a call as quickly as possible. BOFU leads are typically handed over to sales right away. Again, I'm talking online leads here. Let's say 4 of your 10 online leads are BOFU and your sales team is able to close 50% of those leads at an average project size of $20K. That's $40K in additional monthly revenue you can attribute your online efforts. You'll have to talk regularly to your sales team about the quality of the leads you're generating. They will have good insight on the sort of content leads will respond to and how to nurture them further down the funnel. Ultimately, setting up any sort of service level agreement between marketing and sales, regardless or how formal or informal, is a collaborative venture. Remember the ultimate goal of growth for the company not for a specific department. Don't forget that if your sales team is used to cold calling and mining leads the old fashioned way, they'll need some education around online lead capture. Be patient and remember the goal.